Heartburn is a painful burning sensation experienced in the chest or upper stomach due to the reflux of acid and other stomach contents into the oesophagus. The reflux is caused usually due to improper diet; obesity and poor lifestyle which triggers the relaxation of the lower oesophageal sphincter (LES) that helps prevent the backflow of stomach contents. The LES is in normally supposed to be rigid or tight to avoid the flow of stomach contents up in the oesophagus. Heartburn is a common disorder and can be treated easily by simple home remedies or OTC drugs, however; its negligence can lead to a severe form known as gastro-oesophageal reflux disease (GERD). In this article, we will discuss if Artichoke, a vegetable, can help with heartburn as a home remedy. Artichoke is one of the oldest cultivated edible plants, also used for medicinal purposes. 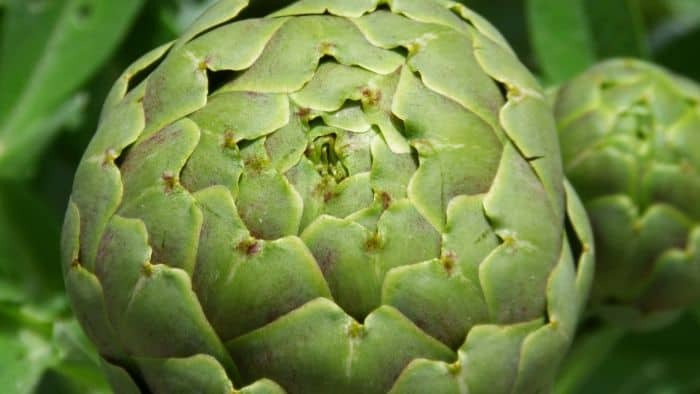 Its leaves, stems, and roots are used to make extracts that contain high levels of active ingredients found in artichoke to treat several disorders. It was first cultivated in Ethiopia and moved since to Egypt, Europe and other parts of the world. Initially, in Europe, it was majorly cultivated and consumed by the elite class of the society and was considered a valuable digestive aid. Artichoke flower buds are the ones used for edible purposes mostly but therapeutically, its leaves are used as a diuretic to stimulate the kidneys and as choleretic to stimulate a flow of bile from the liver and gall bladder. It is also an efficient herb used to lower blood sugar, blood pressure, cholesterol, and cure arthritis, anemia and hangovers. Germany’s Commission E (similar to Food and Drug Administration of U.S.A) has authorized artichoke as a potential herb to treat gut problems such as dyspepsia, irritable bowel syndrome, heartburn, bloating, and lack of appetite, nausea mild diarrhea and constipation. Dyspepsia or indigestion is one of the root causes of heartburn. It increases the retention time of food in the stomach leading to hyperacidity. It also decreases the pressure on the LES, causing its relaxation and ultimately the reflux of excessive acid from the stomach to the oesophagus causing heartburn. In a study conducted on artichoke leaf extract, it was found that this extract is highly effective in relieving functional dyspepsia and thus in alleviating the problems arising from the same, including heartburn. The property of artichokes being digestive aids is due to its high fiber content. Fibrous vegetables and fruits help speed up digestion and prevent pain and bloating in the stomach. They also can act as probiotics which help the growth of healthy microorganisms in the stomach that further aid in proper digestion. Artichokes are a rich source of fiber and polysaccharides called fructans which promote efficient digestion when taken in right quantities. Another mechanism of promotion of digestion by artichoke is by increasing bile flow. Artichoke contains high amounts of flavonoids which act as choleretic agents in the gut which means that they help increase the bile flow in the liver and gall bladder. Bile flow is very important in proper digestion and for keeping the gut healthy. It is also important for a proper bowel movement and thus has an important role, though indirectly, to prevent heartburn. Artichoke by its choleretic actions may contribute in amelioration of the symptoms of acid reflux. One of the key factors in heartburn is the rate of gastric emptying which governs the amount of acid production and thus, the probability of reflux. Longer the food takes to pass from the stomach, higher the risk of heartburn. Conversely, higher is the rate of gastric emptying, lesser is the chance of acid reflux. A number of studies conducted on artichoke have revealed that it contains flavonoids derived from luteolin, caffeoylquinic acids and cyanaropicrin, which together help increase the rate of gastric emptying, thus preventing bloating, gas, drowsiness and most importantly, heartburn. Gastric motility is important for proper passage of food through the alimentary canal and thus digestion. Trials were done on STW-5 (Iberogast), an herbal preparation containing artichokes in significant amounts, show that artichokes positively alter and increase the proximal gastric volume, flexibility, relaxation rate, and motility. Higher gastric volume, motility, and relaxation increase the efficacy of digestion and reduce the probability of occurrence of gastric disorders including heartburn. Excessive acid production and heartburn make the mucous layer in the gut susceptible to the damages caused by acids. These damages induce the production of reactive oxygen species such as peroxides in the tissue, which cause cell death and exacerbation of the symptoms (pain, ulceration etc.) of the disorder. Artichoke leaf and flower bud extracts have been found to be a rich source of compounds such as flavonoids, phenolics, and tannins which show anti-oxidative activities. Analysis of artichoke revealed the presence of a high amount of phenolics in leaves and young/mature flower bud heads along with other anti-oxidative compounds that potentially inhibited hydroperoxide mediated oxidative damage in the tissues. Studies have also shown that artichoke extracts inhibit reactive oxygen species in human white blood cells and prevent their death. All these evidences demonstrate an innate capability of artichoke extracts to prevent and reduce oxidation in the acid damaged tissues in heartburn, thus alleviating its symptoms. 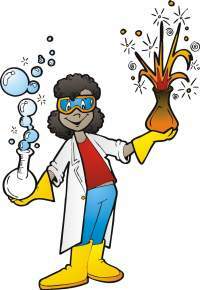 Inflammation in the gut arises as a result of excessive acid exposure of the gut cells. It triggers several compounds and molecules called cytokines and tumor necrosis factors (TNFs) which sense the damage and collect at the damage site causing pain and ulceration. This also leads to activation oxidation of the tissue compounds by the generation of reactive oxygen species. Thus inflammation and oxidation together causes tissue necrosis or death and contribute to the worsening of the effects of heartburn. Artichoke has been found to contain a compound called Cynaropicrin, which is an effective anti-inflammatory molecule. It significantly reduces inflammation by interacting with a nuclear factor NF-ƙB and TNF . Both these factors are important mediators of inflammation and activators of several pro-inflammatory molecules including cytokines and other factors. Thus, artichoke leaf flower extracts help reduce the immediate effects of heartburn and prevent their aggravation, causing pain, discomfort and other classical symptoms associated with the disorder. Artichoke leaves, roots and flowers are available at the local drug store across the world in the form of whole plant parts, powders, tablets, capsules, and extracts. A commercial herbal preparation containing artichoke used especially for heartburn and other gastrointestinal disorders is called STW-5 or Iberogast. Apart from artichoke, it contains herbs such as lemon balm, milk thistle and fennel amongst others which are highly beneficial for the reduction in the symptoms of heartburn and promoting good health. Ordinarily, Germany’s Commission E recommends 6 grams of dried artichoke powder daily for the promotion of a healthy gut and treating gut disorders. The dose is usually divided into 3 parts, spread over 24 hours. Artichoke leaf extracts, which provide maximum relief from heartburn and gut problems, are available in the market. Their consumption is instructed on the label (given by the manufacturer) and should be strictly followed. Those having gall bladder problems should consult a doctor before taking any kind of artichoke leaf extract. As stated earlier, the artichoke is highly rich in fructans which are a type of polysaccharides. These carbohydrates promote digestion and growth of friendly microorganisms in the gut, however, when taken in high amounts, they pose different side effects too. When taken in high amounts, these fructans can cause mal-absorption of food in the gut, bloating, pain, diarrhea, gas irritable bowel syndrome, which can be defined as the reversal of the beneficial effects. Thus consumption of artichoke should always be started from the minimum dose and then increased according to the symptoms. It should never be exceeded from the prescribed dose on the label/by the doctor; to avoid any side effects. Artichoke should not be used by pregnant or nursing women. Its safety in children and in people with severe kidney and liver diseases has not yet been established and thus should be avoided in such cases. In addition, its extract is believed to stimulate gall bladder contraction which is why it is not suitable for people with gallstones. Finally, people allergic to artichokes should stay away from it to prevent any reactions and medical problems. Artichoke is a wonder plant, used to alleviate the symptoms of several disorders including heartburn. It reduces the symptoms of indigestion, flatulence, bloating and increases gastric motility and stomach emptying rate. It also exerts anti-oxidative and anti-inflammatory effects on the tissues, preventing the exacerbation of the symptoms caused by damaging effects of the acid. By far, no severe side effects of artichoke have been established and thus, it can be consumed in proper amounts to successfully relieve acid reflux.